On this journey you will get to see some of the most impressive sights of Vietnam and take time to immerse yourself in the traditions and culture of the people of Vietnam. You will also get to enjoy the pristine beauty of the magical, Halong Bay. After arrival to Vietnam you will be given the chance to discover some of Hanoi&apos; s highlights. We start with the Vietnam museum of Ethnology where you can get an idea about the 54 ethnic groups of Vietnam and see some typical rebuilt houses at the outdoor museum. Next we will visit the Temple of Literature. Overnight in Hanoi and attend the water puppet show in the evening. This morning, we fly to Hue where we board a boat for a trip on the Perfume River to go to Thien Mu Pagoda, one of the most famous of all Vietnamese landmarks. Legends explain how the pagoda came to be: one has it that an old woman instructed Lord Nguyen Hoang in 1601 to walk along the river with a lit incense stick and build a city at the spot where the incense stopped burning. AM: Morning at your leisure. In the morning, we take a drive to see the Cu Chi- a fabulous tunnel. These tunnels are a symbol of Vietnam&apos;s continual fight against foreign oppression and imperialism. The tunnel system covers close to 200 km including under what was once a US air base. The tunnels once spanned an area stretching from close to the Cambodian border to the city limits of Hochiminh City. They were originally constructed to fight against the French in the 1940s, to give a peasant army a means of communication between villages whilst remaining undetected. In 1960 the Viet Cong repaired and added to the tunnels to fight against the South Vietnamese and American forces. The Commander of the American forces in the region held the opinion that the Viet Cong who were responsible for digging them were like human moles. Afternoon at leisure. Overnight in Hochiminh city. In the morning we drive south to Cai Be. Upon arrival, start our private cruise excursion, departing from our own pier in Phu An hamlet at around 10.00 am. Upon embarkation, you are welcomed with fresh cotton towels. The tour will begin Cai Be colorful floating market, cruising among local barges full of fruits and vegetables... Cruising further, your sampan will bring you to see some local home factories to discover traditional rice paste making, rice pop corn, coco candies, and longans drying process. A delicious lunch will await you at a superb Indochinese villa, Le Longanier, located in a luxuriant garden by the river. Breakfast followed by an early boat trip to the bustling wholesale Cai Rang & Phong Dien floating markets where the farmers exchange their products. A walk on a peaceful country road provides magnificent sceneries of local houses, orchard gardens and fields. Don&apos;t be surprised if you are invited by a local family to join them for a cup of tea! 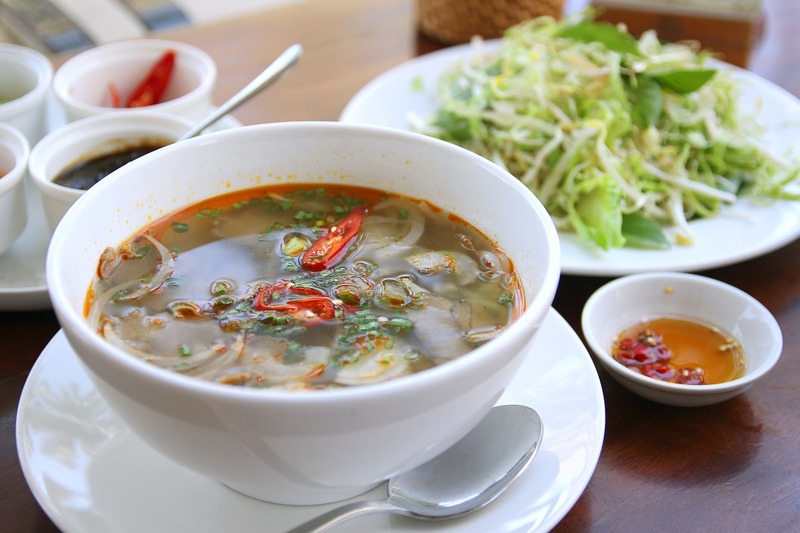 We will have lunch at a local restaurant before driving back directly to the airport for your flight from Vietnam to Cambodia, to Hanoi. 8.00am - Depart for a 3.5 hour drive to Ha Long City through the Red River Delta with a break stop on the way. We arrive at Halong City at about 12h00. Enjoy welcome drink and cruise briefing before checking-in your cabin on Treasure Junk cruise. A lunch with fresh local seafood will be served on board (vegetarians catered for) while you embark on a cruise into the Holy bay to see the incredible karst formations. Later we explore the karst formations by tender or kayak. Early risers can enjoy fresh air and breeze before breakfast. We then start out by tender to see a secluded floating village surrounded by the mountains. We make our way between numerous floating houses and small rowing boats that serve the everyday life of the people, along with their small shops and homes. A buffet lunch is served on the way cruising back to the harbour. Next, disembark then have a drive back to Hanoi airport for your flight to Da Nang then take a 2-hour transfer to Hue. Overnight in Hue.